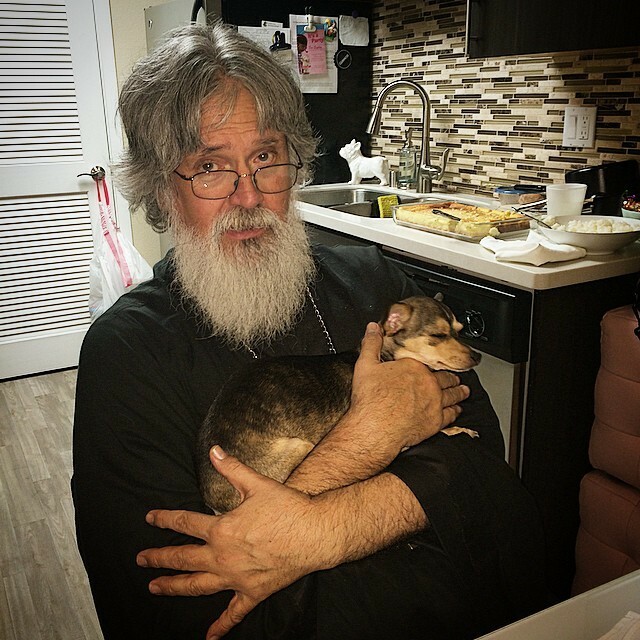 On the 24th of June, 2017, Archpriest Mark Gomez, a beloved cleric and spiritual father of the Western American Diocese, peacefully reposed in the Lord. 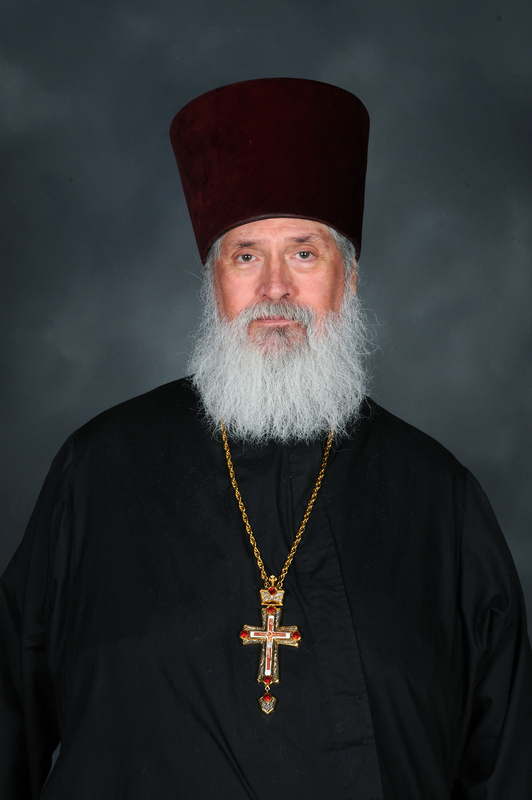 Archpriest Mark was a native Californian and convert to the Orthodox Faith. He was proficient in Church Slavonic, the liturgical language of the Russian Church, and understood and expressed himself well in the Russian language. 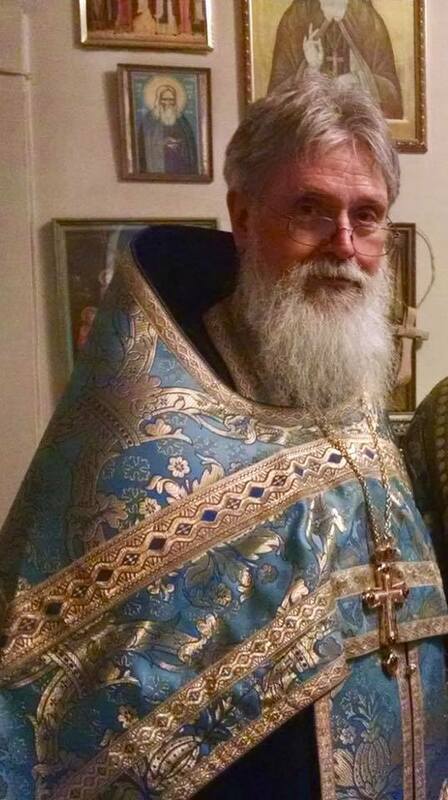 He acquired these skills as a seminarian of Holy Trinity Orthodox Seminary in Jordanville, NY. Father Mark was a long-standing clergyman of our Diocese, arriving in the mid-1980s. He served the first years at the Convent of the “Vladimir” Icon of the Mother of God on Capp Street in San Francisco and then also at Saint Sergius of Radonezh Church in 12th Avenue in the same city. Often he could be seen at vigils at Holy Virgin Cathedral dedicatedly confessing his many spiritual children. 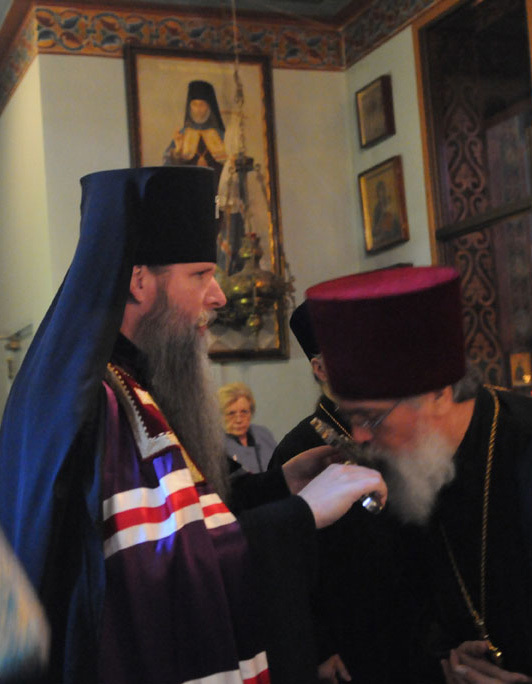 He loved to do so at the Gospel stand at the shrine with the honorable relics of St. John the Wonderworker. Father Mark was also the father confessor for many of the clergy of the Western American Diocese. All those who confessed their sins to Christ our God through him, knew Father Mark to be gentle and forgiving. It is noteworthy to mention that father held secular employment to support his family. One can only imagine the output that was necessary for him to maintain a job in the world and simultaneously bear the burdens of so many others. Only the Holy Spirit could have supported him. On Holy and Great Saturday of this year, Father Mark was paralyzed by an illness that left him hospitalized, unable to speak or even move for the last months of his life. 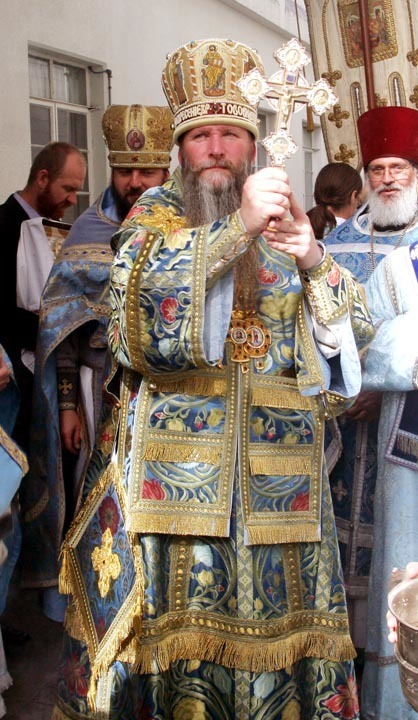 Priest Dimitri Jakimowizc would visit him and administer the Holy Gifts. Father Dimitri noted that Father Mark was fully cognizant, but not able to speak; though he appeared to be praying unceasingly. Being presided over by His Eminence Kyrill Archbishop of San Francisco and Western America, the funeral was well attended by many clergy of our Diocese and many of Father Mark’s spiritual children. At the memorial dinner that followed the burial, His Eminence spoke of Archpriest Mark’s spiritual work as a father confessor, underlining the tremendous importance of this work and Father Mark’s special gift for it. Vladyka Kyrill stated that Father Mark was one of a kind in this regard and irreplaceable. Though Father is unrepeatable in his ministry, it is not necessary for there to be another just like him, as his spiritual gifts are unique given to him by God for building up the Church. Father Mark is survived by his wife, Matushka Catherine – to whom is extended the deepest condolences, as well as to all of father’s spiritual children. May Father Mark’s blessing descend upon all who responded to his spiritual care. Fr. Mark Gomez successfully completed his course of study at Holy Trinity Orthodox Seminary in 1980. His diploma, which was signed by then Bishop Laurus and Father Michael Pomazansky in expectation to be awarded, was withheld until he could submit his thesis. This fact is singular, since a diploma is not usually signed until after all requirements have been met. Fr. Mark never finished this work, though he did express a desire to do so. 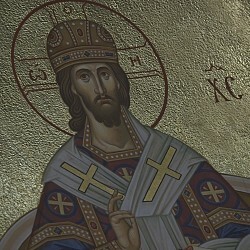 He served the Church honorably and ended the course of his struggle for salvation as an Archpriest, the value of which is beyond words. Perhaps it can be said that his service to the Church was greater proof of his worthiness of receiving a degree than any thesis could have shown. 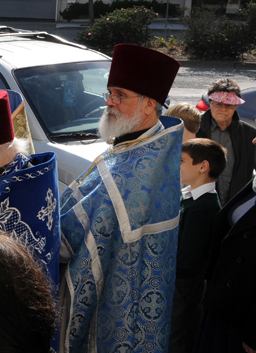 When the administration and faculty of Holy Trinity Orthodox Seminary learned of Fr. Mark’s sudden stroke, and that the opportunity to finish his degree had closed, those who knew him proposed to officially award him his degree. At the Faculty Council meeting on May 26, 2017, Fr. Mark was unanimously recommended to the Board of Trustees to be awarded his diploma. We regret that we did not act quickly enough to present him with the diploma before his repose, and humbly request that our alumni president, Archpriest Stefan Pavlenko, present his diploma to Matushka Catherine. We offer our deepest sympathies to Matushka Catherine for her loss. We should mention that she struggled with Fr. Mark as his Matushka during his time at Holy Trinity Orthodox Seminary, and therefore this diploma is as much hers as it is Fr. Mark’s. May God grant them both the Heavenly Kingdom!